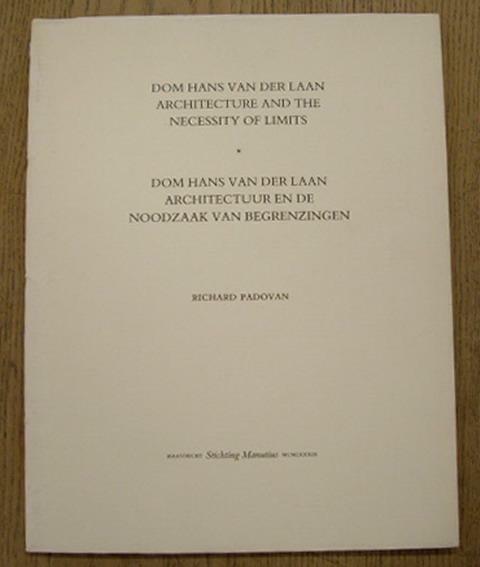 LAAN, DOM HANS VAN DER - RICHARD PADOVAN. Dom Hans van der Laan. Architecture and the necessity of limits. Architectuur en de noodzaak van begrenzingen. Stichting Manutius, Maastricht, 1984. 28 x 22 cm. Original wrapper / Softcover. With illustrations in b/w. 40 pages. Text in Dutch and English. [ near ] FINE COPY `` [ Architecture / international ]. Artikel-Nr. : #106701.